Home / Politics / See what MIGUNA MIGUNA said about the appointment of Prof QURESHI by the DPP’s office – Does this man deserve to stay in Canada for good? See what MIGUNA MIGUNA said about the appointment of Prof QURESHI by the DPP’s office – Does this man deserve to stay in Canada for good? Friday December 7, 2018 - Self proclaimed National Resistance Movement (NRM) general, Miguna Miguna, has shared his sentiments on social media about the appointment of Queens Counsel Prof Khawar Qureshi to the Director of Public Prosecutions (DPP)’s office. According to the DPP, Noordin Haji, Qureshi will handle high profile cases like the corruption case facing Deputy Chief Justice Philomena Mwilu. 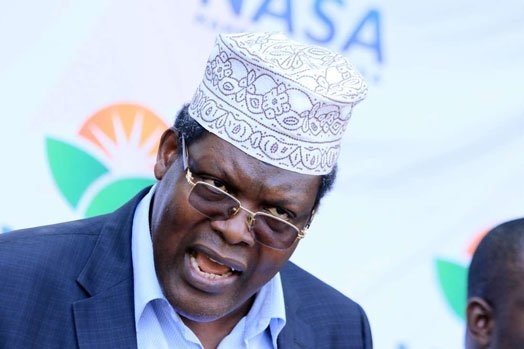 Though many Kenyans have welcomed the move, Miguna Miguna, who is among millions of Canadians who are beating winter blues as the cold weather sets in, dismissed Qureshi’s appointment. He said Qureshi, who is a Pakistani-British citizen, is a neocolonial lackey imported into Kenya by “tyrants” and “despots” to create primitive excitement among the “ignorant” and “mentally colonized” Kenyans and to facilitate the institutionalization of the culture of impunity. “He is a Pakistani-British citizen; a neocolonial lackey imported into Kenya by tyrants and despots to create primitive excitement among the ignorant and mentally colonized Kenyans and to facilitate the institutionalization of the culture of impunity. #SayNoToUjinga,” Miguna said.